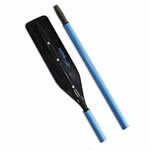 Carlisle Oars are a no-frills, outfitter quality oar that is maintenance-free, lightweight and strong. 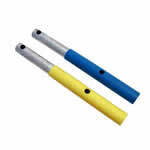 Carlisle Heavy Duty Rafting Oar Shafts are aluminum, covered polyethylene plastic and feature interior cork stoppers which prevent water from wicking into the shaft, add rigidity and keep the oar afloat. 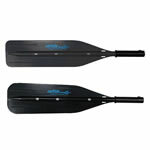 The Carlisle Break Down Oars are the key to an inexpensive, super strong oar that packs down to half it’s overall length for convenience when traveling.